This is a simple linear slideway that can be motorized. We offer the slideway in kit form or fully assembled. Example applications are video camera tracking and time-lapse photography. All the parts used are available separately on our site. The video below shows the slideway being used for filming using both our Reversible Speed Controller for DC Motors and alternatively a third party Arduino Robot Control Board with Bluetooth. In lengths of either 600mm or 1200mm. As a kit or ready assembled. The slideway is available in 2 lengths although it is possible to modify the length to suit your requirements. The maximum length is 1200mm. A Wormwheel Gear Motor is included, which precludes back-feeding motion when power is switched off. 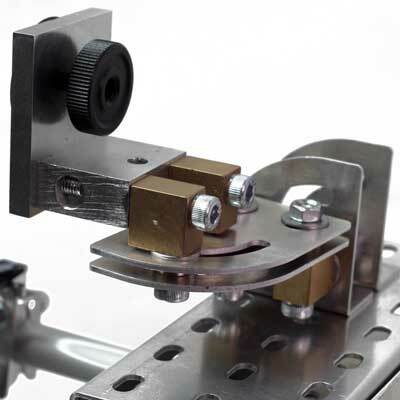 The kit includes includes pre-assembled linear bearing assemblies and pulley/shaft/bearing assemblies. 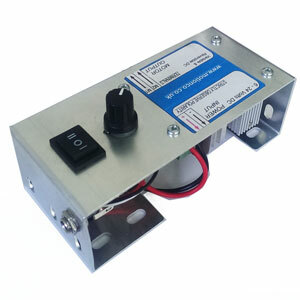 This slideway can be controlled using our basic motor controller to give speed and direction control with a suitable power supply. Alternatively it can be powered/controlled using a third party microcontroller such as Arduino or Raspberry Pi. If ordered with any of the fully assembled options above, the Mount will be assembled onto the slideway. If ordered with any of the fully assembled options above, the Mounting Bracket will be assembled onto the slideway. To see our range of battery, mains power, and control products, suitable for use with the above slideways, go to Power and Control. Linear Slideway, 600mm long, assembled. .. 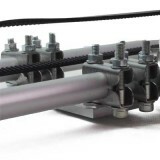 Linear Slideway, 600mm long, self assembly kit. .. Linear Slideway, motorized, 600mm long, assembled. .. 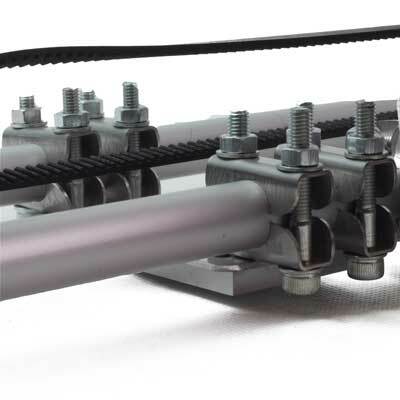 Linear Slideway, motorized, 600mm long, self assembly kit. .. Linear Slideway, 1200mm long, assembled. .. 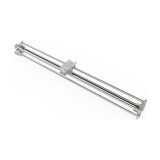 Linear Slideway, 1200mm long, self assembly kit. .. Linear Slideway, motorized, 1200mm long, assembled. .. 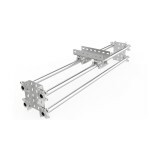 Linear Slideway, motorized, 1200mm long, self assembly kit. .. Camera mounting bracket. Fitted with standard ¼” UNC knurled camera clamp bolt. Allows use of camera..
Tripod Mounting Bracket. Attaches to lower slideway support rails. ..